I love New Jersey. My family has lived here for four generations. Unfortunately, New Jersey has become a difficult place to live for anyone other than the extremely wealthy. It doesn’t have to be this way. In my town the average homeowner will pay nearly $150,000 in property taxes over the next 10 years. This fact represents a serious failure of public policy. A community should be more than a school district where its graduates can’t even afford to live. While racism, bigotry and hate deserve to be condemned, I can't help but observe that many of the letter writers to The Record display an appalling lack of historical knowledge despite their noble intentions. For example, I see the concept of secession being labeled as treason when applied to the South in 1860. If that’s the case, then the original 13 colonies should be condemned for seceding or breaking away from England in 1776. Keep in mind that the states brought the federal government into existence not the reverse. In the three weeks since the violence in Charlottesville, not many people have taken note that the “Alt Right” white nationalists and the “Antifa” counter protesters actually have some things in common. For example, both groups are hostile towards a free market economy, in that they both oppose free trade. Recall the “Occupy Wall Street” rallies of several years back, when many of the same people and organizations that were in Charlottesville were also involved in the “Occupy Wall Street” movement. Both groups believe in censorship of those they don't agree with. If either side ever got in power you could kiss the Bill of Rights goodbye. Can anyone imagine the white nationalists, the Ku Klux Klan, or National Socialists (Nazis) allowing blacks, Jews, Hispanics, Asians or people in the LGBTQ community the right to own guns or have First Amendment rights? The other side would do the same thing in a heartbeat. NJLP Board Member, Dorit Goikhman, interviews John Paff. What is a "payroll record" under OPRA and what type of information does it disclose? While "personnel records" of public employees are mostly exempt under the Open Public Records Act (OPRA), N.J.S.A. 47:1A-10 makes certain types of personnel information expressly available to the public. Specifically, a public employee's "name, title, position, salary, payroll record, length of service, date of separation and the reason therefor, and the amount and type of any pension received shall be a government record" and must be disclosed to the public. As one can see, one of the items within the public domain is an employee's "payroll record." But, what exactly is a payroll record and what information must it contain? On June 5, 2017, the Borough of Tuckerton (Ocean County) quietly paid $8,225.36 to settle a lawsuit brought by a suspended Borough police officer who was indicted on January 13, 2015 for allegedly causing his K-9 canine "Gunner" attack a 58-year-old female motorist on January 29, 2014 and then falsifying an arrest record to cover his actions. Under the terms of the settlement, Tuckerton also agreed to forgive $16,774.64 in health premiums that the Borough said the officer owed and also gave full ownership of Gunner to the officer. Tuckerton officer Justin M. Cherry filed two lawsuits against the Borough--one each in federal and state court. In both complaints, Cherry claimed that he was deprived of some training opportunities and that when he complained he was met with "demeaning and harassing" conduct by Chief Michael Caputo. Cherry said Caputo's harassment was retaliatory and that Caputo "has been determined to terminate [Cherry's] employment by any means." Caputo's alleged harassment consisted of refusing to compensate Cherry for his "at home" care of Gunner and accusing Cherry of hacking Caputo's e-mails. On August 3, 2017, Libertarians for Transparent Government (LFTG) filed a lawsuit against the Wall Township Board of Education challenging its refusal to disclose an invoice from Jostens, the high school's yearbook vendor. On October 15, 2015, both Keith Brown of NJ Advance Media and Isaac Avilucea of the Trentonian reported that State Police Detective Doug Muraglia was one of the two officers who together fired as many as eighteen shots at Radazz Hearns, then age 14, on August 7, 2015. The other officer who fired at Hearns was identified by the newspapers as Mercer County Sheriff’s Detective James Udijohn. 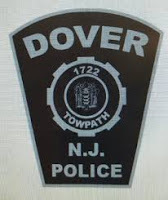 On June 5, 2017, the Town of Dover (Morris County) paid $382,500 to settle a lawsuit filed by an officer who said that he was retaliated against for complaining about ticket-fixing and for reporting that officers were "stealing time" by leaving work early or taking days off. In his complaint, Timothy Thiel claimed that during a 2011 traffic stop of a car driven by a campaign worker for Mayor James Dodd and which carried Alderwoman Carolyn Blackman as a passenger, he "was pressured to not write tickets because of who was in the car." Thiel said that after he wrote two summonses despite the pressure, he learned that the tickets were improperly dismissed by the municipal court without his knowledge or approval. Through a police sergeant, the ticket-fixing allegation was reported to the Morris County Prosecutor's Office. I chair the New Jersey Libertarian Party's Police Accountability Project and ask that you accept this letter as an Internal Affairs complaint. Note that this is the second complaint we have filed regarding a warrantless strip search. 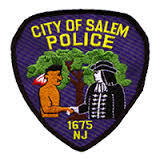 Our first complaint was filed on March 18, 2013 and reported that Lieutenant Robert Mangold had conducted a warrantless strip search that resulted in two glassine bags of heroin being suppressed by the court. Notwithstanding the court's finding, your Internal Affairs Unit exonerated Mangold after finding that he "followed the appropriate department policies and procedures." NJLP Board Member, Dorit Goikhman, interviews LNC member Arvin Vohra. On December 9, 2016, the Burlington County Institute of Technology (BCIT) quietly paid $65,000 to settle a former African-American student's lawsuit which claimed that he was repeatedly racially harassed by other students and that school officials took no corrective action. In his suit, Venice Samuel, III of Willingboro, who was a minor at the time the suit was filed but an adult at the time it was settled, claimed that he suffered several incidents of racial harassment during his junior and senior years at the BCIT's Medford Campus. Samuel claimed that he was repeatedly called a n****r during October 2012 by a student identified in the lawsuit only as "D.D." He said that Assistant Principal Michael Parker failed to take any action after receiving Samuel's complaints. The New Jersey Libertarian Party and I would like to cordially invite you to join us for a night of comedy relief in support of your favorite Garden State political party. The first annual Laughs for Liberty will be held June 24, 2017 at the Atlantic City Comedy Club. This event features some of the best area comics, see the attached flyer. The Open Public Meetings Act (OPMA) requires public bodies to make the minutes of their meetings, both public and non-public (i.e. closed or executive), "promptly available to the public." Recent correspondence with one South Jersey township reveals that minutes from closed meetings held five years ago are still not available for public inspection and that minutes from closed meetings held in the 1980's and 1990's have apparently been lost forever. A May 16, 2017 Open Public Records Act (OPRA) request to Deerfield Township in Cumberland County sought "the minutes of the three (3) most recently held [closed] Deerfield Township Committee meetings for which minutes are available in either full or redacted form." The request went on to explain that if "the three most recent closed meetings for which minutes are available in whole or part took place ten years ago in April, May and June of 2007, then those would be the minutes that are responsive to this request." This month it will be one year since I was charged with "harassment" and "criminal mischief" in the "People's Republic of Gladstone and Peapack". What heinous act did I commit to warrant those charges? Are you ready for this? I left history magazines at the drive-up windo at th Peapack-Gladstone Bank in Gladstone, NJ! Apparently leaving reading material in areas frequented by the public is not allowed in the"Constitution -free zone" called Gladstone! The New Jersey Libertarian Party is happy to announce that it will be partnering with http://TaiChiGala.com to offer its members discounted pricing for the 2017 Tai Chi Gala, held in Henryville, PA from June 2nd thru June 4th. The organizers of the event, who are also dedicated libertarians, have not only offered discounts to those who register using the code Liberty2017 but they will also be donating $50 for each of these registrants. The NJLP feels that there is no better way for its members to enjoy the natural healing and stress relief of this Chinese martial art while also supporting the most relaxing and stress free political party on the market. Other topics covered during this event include eastern philosophy, mindfulness, meditation, qi energy development, mind/body healing, and push hands. Act fast as space is limited and this discount will only be offered until May 19th!!! Book now using LIBERTY2017 and help support the New Jersey Libertarian Party!!! I chair the New Jersey Libertarian Party's Police Accountability Project and ask that you accept this letter as our Internal Affairs complaint. We would like your agency to investigate whether Jersey City Officers Greg Wojtowicz, Carlos Lugo and other officers employed by your agency acted in accordance with department policy and the law regarding a warrantless search of minivan containing 500 glassine bags of heroin. I chair the New Jersey Libertarian Party's Police Accountability Project and ask that you accept this ​e-mail as our Internal Affairs complaint. We would like your agency to investigate Sergeant Melvin Vanaman's December 12, 2013 interaction with James T. Pritchett.